Being an entrepreneur – it’s a title that’s getting more fashionable as the years go on, and on the face of it, it’s not hard to see why. Images of sharp-suited business owners with beaming confidence and a bank balance to boot are deeply embedded in the minds of many, but behind all the perceived panache are the often overlooked hours of hard work and dedication – that doesn’t make for as interesting a thought. Thomas Edison once remarked that “Opportunity is missed by most people because it is dressed in overalls and looks like work” – but for the UK’s vast and growing number of entrepreneurs, their chance came and they seized it with both hands. At Startups Towers, we strongly believe it’s our duty to shine a spotlight on the country’s passionate and resilient small business community – no matter what industry, region, turnover or, indeed, age. So that’s why we’re back again with our annual Young Entrepreneurs to Watch index – a showcase of the nation’s best and brightest young start-up founders, all aged 25 and under. In 2018, we’re making it our mission to inspire as many people to start a business as possible with our #BeYourOwnBoss2018 campaign, but for the business owners featured in this list, it’s already mission accomplished. Judged and assessed on a range of metrics, including business traction, finances, clients and potential, the diverse range of both sectors and cities seems sure-fire proof that the UK’s entrepreneurial drive won’t be slowing down anytime soon. Former British prime minister Benjamin Disraeli once remarked that “the youth of a nation are the trustees of posterity”, so in our uncertain times, this list should provide plenty of warm comforts, if not some splashings of jealousy also. 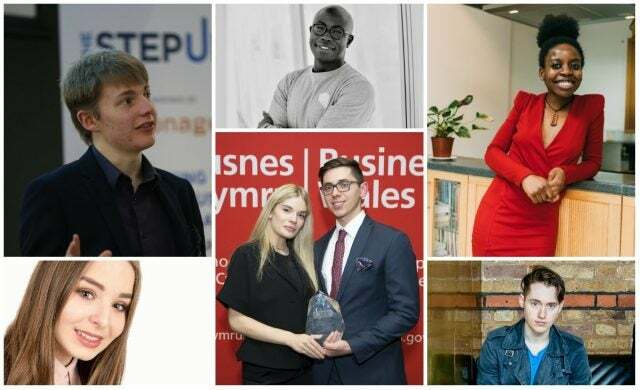 From pizzerias to boxing events, cosmetics to estate agents, the budding business owners on this list have certainly achieved some remarkable accomplishments well beyond their years – with many also conquering some real adversities to get where they are today.